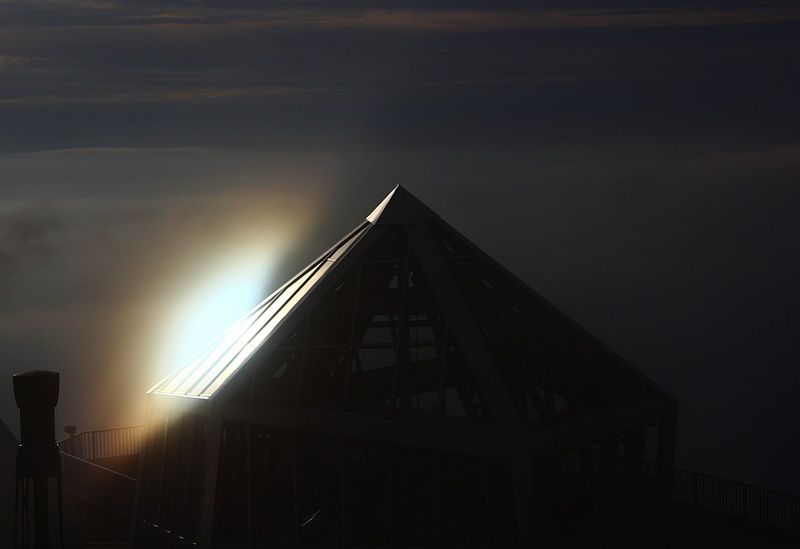 In the evening of June 6, 2014, a reflection of the sun appeared in an inclined window pane of the pyramid-shaped restaurant building on the top of Mt. 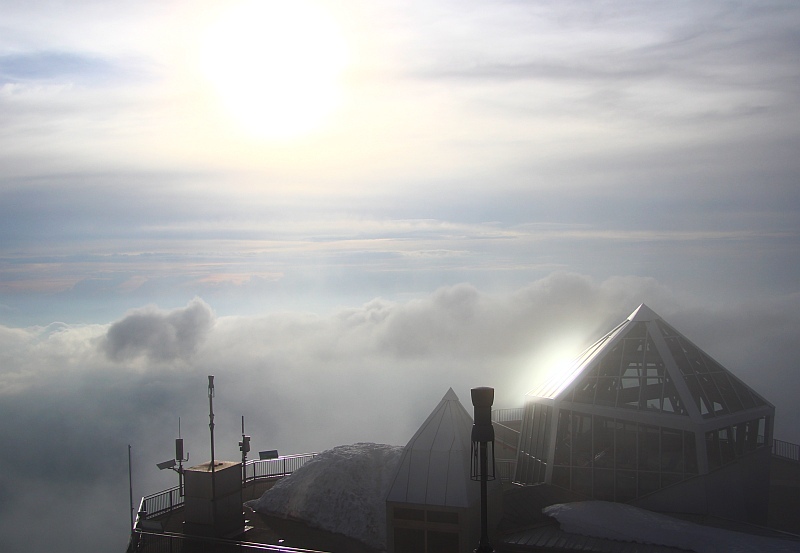 Zugspitze, while shreds of cumulus clouds coming from the valley passed by. 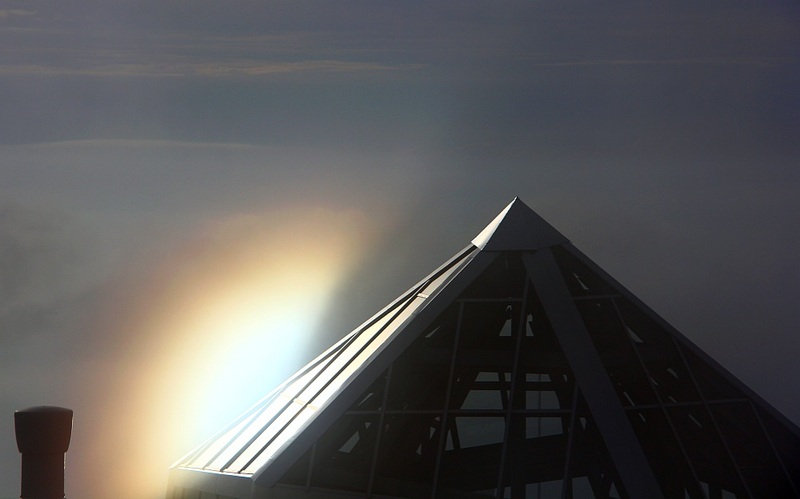 In these shreds not only the shadow of the top of the building was visible from time to time, but there also appeared a distinct corona around the reflection of the sun.